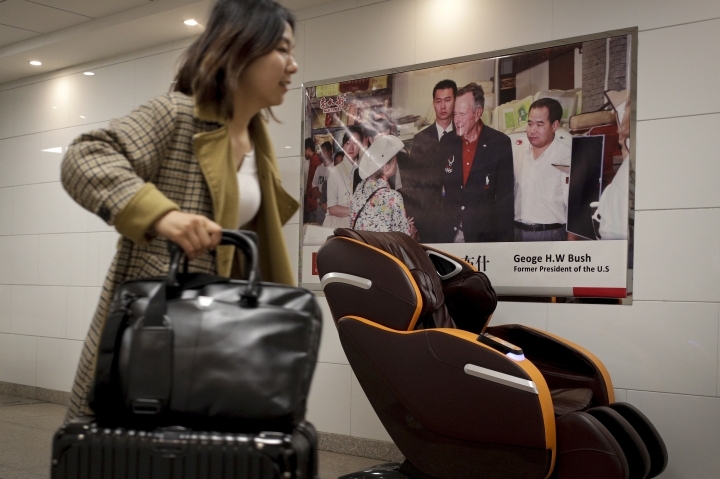 BEIJING — Chinese state media on Monday praised George H.W. Bush as a "statesman of vision," recalling the late president's role in helping end the Cold War and establishing the foundations of U.S.-China relations. "It is fair to say, Bush was a statement of vision, not only for being a co-founder of the U.S. dominancy in the post-Cold War era, but also his insightful observations on China, which were the key for the forming of the U.S.'s China policies in the 1980s and beyond," the paper said in an editorial headlined, "Old friend who helped set the course for ties." Bush was America's unofficial ambassador to China in 1974-75 as the two countries were moving toward establishing diplomatic relations amid tensions between Moscow and Beijing. 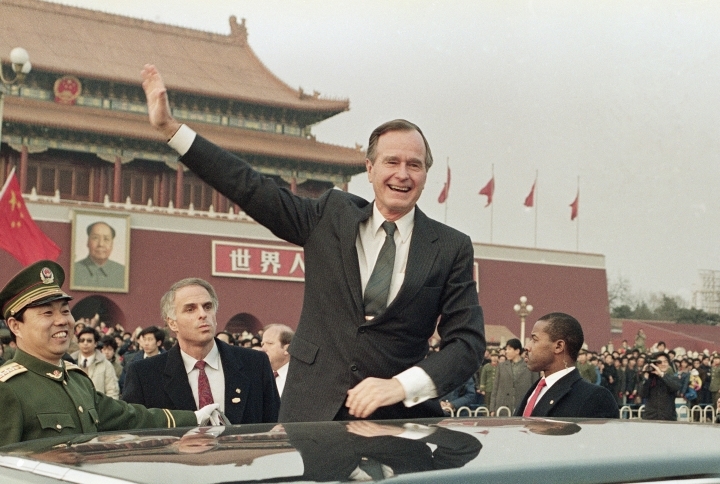 Arriving just two years after President Richard Nixon opened direct contacts with China, Bush was a pivotal figure in building contacts prior to the establishment of full diplomatic relations in 1979. Over his 14 months in Beijing, he and his wife, Barbara Bush, became known for riding their bikes through the city's winding lanes and socializing with other members of the Western diplomatic community. Bush is also remembered for smoothing over a rough patch in relations while president following the bloody 1989 crackdown on pro-democracy protests centered on Beijing's Tiananmen Square. Despite widespread condemnation and moves to isolate China in the West, Bush sent his national security adviser, Brent Scowcroft, on a secret mission to reassure the government of former paramount leader Deng Xiaoping that there would be no major rupture in ties. On Saturday, Chinese President Xi Jinping offered his condolences at a meeting with President Donald Trump, saying Bush's passing left him "greatly saddened" and calling him "someone who had made an important contribution to China-U.S. friendship and relations during his lifetime."